Spatially explicit knowledge of recent and past soil organic carbon (SOC) stocks in forests will improve our understanding of the effect of human- and non-human-induced changes on forest C fluxes. For SOC accounting, a minimum detectable difference must be defined in order to adequately determine temporal changes and spatial differences in SOC. This requires sufficiently detailed data to predict SOC stocks at appropriate scales within the required accuracy so that only significant changes are accounted for. When designing sampling campaigns, taking into account factors influencing SOC spatial and temporal distribution (such as soil type, topography, climate and vegetation) are needed to optimise sampling depths and numbers of samples, thereby ensuring that samples accurately reflect the distribution of SOC at a site. Furthermore, the appropriate scales related to the research question need to be defined: profile, plot, forests, catchment, national or wider. Scaling up SOC stocks from point sample to landscape unit is challenging, and thus requires reliable baseline data. Knowledge of the associated uncertainties related to SOC measures at each particular scale and how to reduce them is crucial for assessing SOC stocks with the highest possible accuracy at each scale. This review identifies where potential sources of errors and uncertainties related to forest SOC stock estimation occur at five different scales—sample, profile, plot, landscape/regional and European. Recommendations are also provided on how to reduce forest SOC uncertainties and increase efficiency of SOC assessment at each scale. The authors would like to acknowledge the EU COST Action FP0803 “Belowground carbon turnover in European forests” for providing the platform and financial help for meetings where this review was initiated and further discussed and progressed. Baritz, R., Eberhardt, E., Van Liedekerke, M.H., & Panagos, P. (2008). Environmental assessment of soil for monitoring: Volume III database design and selection. EUR 23490 EN/3 Office for the Official Publications of the European Communities, Luxembourg, 125 pp. doi: 10.2788/93697. Cools, N., & De Vos, B. (2010). Sampling and Analysis of Soil. Manual Part X, 208 pp. 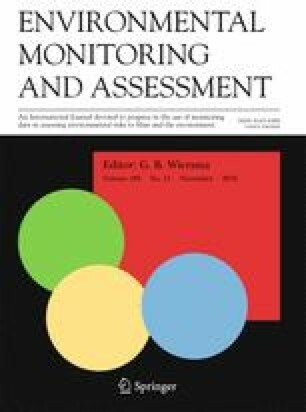 In Manual on methods and criteria for harmonized sampling, assessment, monitoring and analysis of the effects of air pollution on forests. UNECE, ICP Forests, Hamburg. [http://www.icp-forests.org/Manual.htm]. Morison, J., Matthews, R., Miller, G., Perks, M., Randle, T., Vanguelova, E., White, M. and Yamulki, S. (2012). Understanding the carbon and greenhouse gas balance of forests in Britain. Forestry Commission Research Report. Forestry Commission, Edinburgh. i–vi + 1–149 pp. http://www.forestry.gov.uk/pdf/FCRP018.pdf/$FILE/FCRP018.pdf. Accessed 14 Oct 2016. Morison, J.I.L., Vanguelova, E.I., Broadmeadow, S., Perks, M., Yamulki, S. and Randle, T. (2010). Understanding the GHG implications of forestry on peat soils in Scotland. Report for Forestry Commission Scotland, October 2010, Forest Research, 56pp. http://www.forestry.gov.uk/pdf/FCS_forestry_peat_GHG_final_Oct13_2010.pdf/$FILE/FCS_forestry_peat_GHG_final_Oct13_2010.pdf. Accessed 14 Oct 2016. Vesterdal, L. (2011). Sampling of soil for assessment of soil carbon stocks. FunDivEUROPE (FP7) field protocol V1.0, http://project.fundiveurope.eu/wp-content/uploads/Sampling_Protocol_Sampling-of-soil-for-assessment-of-soil-carbon-stocks_Mar-2011.pdf. Accessed 14 Oct 2016.